We used to call it being a 'tomboy" when we were kids, right? Well, this month is all about appreciating your tom-boy-ness! Why is this important you ask? How will this help my marriage, you ask? Well, of course we'd like to say: BUY THE BOOK - ha! NO, seriously - remember last month? It was "Get In Touch With Your Feminine Side Month." Well, didn't it feel great to see your Partner in a bubble bath, or watching a chick flick? The point is to slip into your spouse's shoes and walk around a little bit to feel what it is like to be them. Sometimes, you learn new things when you try new things. So, here we are in the land of testosterone...let's get started! Sign up to receive email or text updates from our google calendar for more ideas all month long. 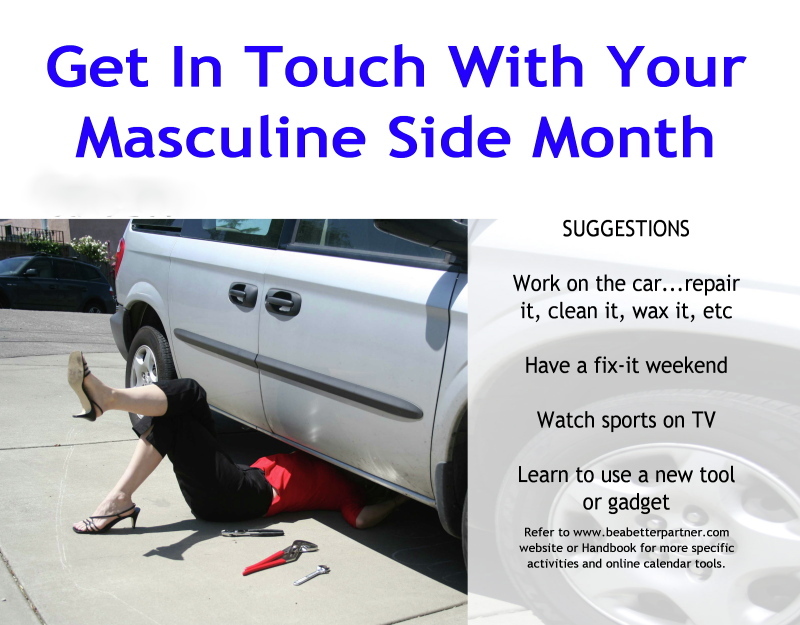 Welcome To 'Get In Touch With Your Masculine Side' Month! How do you define masculinity? In terms of strength? Intellect? Attitude? Well, whatever it is that you think is masculine vs feminine - take note, because this month its time to appreciate the world of masculinity. • Do some work on the car - learn how to change the oil, or simply clean and wax it if this is something you never do. • Learn how to use a new tool or gadget. 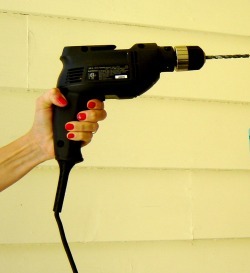 Ever used a drill or chain saw??? • Get in the driver's seat - literally!! !